Just Announced: Iron Maiden, Courtney Barnett & More! Also Among This Week’s Upcoming Dallas-Area Shows You Should Know: Weird Al, Jonathan Richman, Dwight Yoakam, YG, Acid Mothers Temple and More. One of last week’s biggest stories in the music journalism circles — and. thus, my life — was the story of Threatin, a “fake” band that booked a UK tour after successfully crafting a facade of boasting a strong online following. The band’s UK tour achieved widespread press coverage following a series of unattended shows — this despite the venues claiming that 180 to 291 tickets were purchased in advance at each show. The surreal nature of the story leaves many intrigued, and, truthfully, it leaves me hoping that the band makes a Dallas appearance in the future. I also think it warrants serious reflection on the thankless job that talent buyers must perform in gate-keeping which bands get to play on stage. These people deserve serious appreciation for bringing us quality entertainment night after night. At least on some level, please consider this weekly feature, which is dedicated to aggregating and highlighting some of many concert announcements they make, as a testament to their hard work. On sale Friday, November 16 at 10 a.m. When Dwight Yoakam came into the limelight in the 1980s, Nashville was fixated on country music that was more pop-friendly and, in that circuit, there was no room for someone like him. So he moved to L.A. and paid his dues in punk clubs. As such, has shared bills with roots acts such as Los Lobos and The Blasters, as well as punk acts such as X and Husker Du. The man Johnny Cash once called his favorite male singer returns to Billy Bob’s in February. 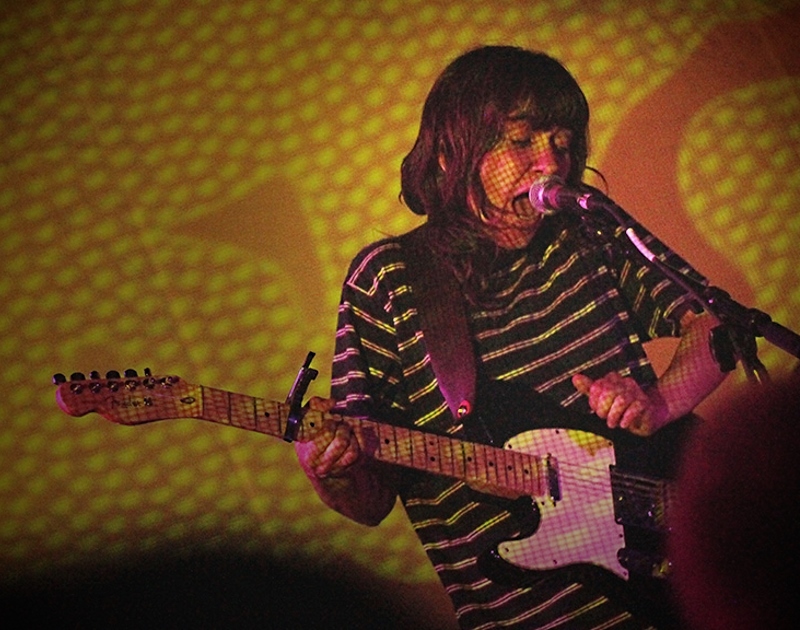 The Grammy-nominated Australian singer-songwriter Courtney Barnett returns to Dallas amid a successful career trajectory that started with the release of her 2015 debut album Sometimes I Sit and Think, and Sometimes I Just Sit. She hits the road in 2019 in support of her sophomore LP Tell Me How You Really Feel, and will bless Dallas with her first appearance since her McFarlin Auditorium set with Kurt Vile, and her second since her sold-out rager at Dada. On sale Wednesday, November 14 at 10 a.m.
Compton-based rapper YG rose to prominence in 2009 following the release of his debut single “Toot It and Boot It” featuring Ty Dolla Sign. Since then, he has collaborated with artists such as Drake, Mariah Carey and 50 Cent, and has released other charting singles such as “Left, Right” and a song with DJ Mustard, Rich Homie Quan and Jeezy that I will not name. The 21-year-old singer-songwriter/producer Chelsea Cutler is one of many Generation Z artists that catapulted to success thanks to Soundcloud. Following the release of her 2017 breakthrough single “Your Shirt” and her EP Snow in October, she dropped out of college, supported Quinn XCII on a successful month-long tour and released her mixtape Sleeping With Roses. She plays Trees in April with support from Anthony Russo, just a few months after her sold-out Dallas debut at The Cambridge Room in September. Japanese psychedelic greats Acid Mothers Temple return to North America for the umpteenth time, this time with Montreal-based experimental collective Yamantaka//Sonic Titan. If the music of Can, Karlheinz Stockhausen or Boredoms appeals to you, this show will be pertinent to your interests. Los Angeles-based indie duo Girlpool first made waves in 2015 following the release of their debut album Before The World Was Big. Since then, they signed onto label Anti- and abandoned their more stripped down, drummerless sound in favor of a full band with the release of their 2017 full-length Powerplant. They would play major festivals such as Coachella and FYF, and would fill opening slots on tours for big names such as Wilco and Jenny Lewis. Following the release of three singles and the announcement of their upcoming album What Chaos Is Imaginary, they just announced North American tour dates, one of which includes their third stop at Dada. Hatchie opens. As part of his “Ill-Advised Vanity Tour,” “Weird Al” Yankovic spent 2018 performing intimate gigs in which he abstained from the song parodies that made him famous, and instead played acoustic versions of original cuts throughout his three-decade career. In a move of stark contrast, Yankovic just announced the 2019 “Strings Attached Tour,” in which he performs the crowd-pleasing hits with a full symphony orchestra. This may be of interest to anyone that got their music from Limewire before they were 16. Previous ArticleA New Lawsuit Could Signal The End Of Lone Star Beer. Next ArticleThe Spread: Celebrities Love Mot Hai Ba, Huh?